Having established himself as the darling of the Academy, director Alejandro Iñárritu has bolstered his reputation further with ‘The Revenant’. The Academy loved ‘Birdman’, awarding it with all the major accolades it had to give, awarded ‘Biutiful’ with nominations for Javier Bardem for Best Actor and the film itself for Best Foreign Language Film, and adorned ‘Babel’ with multiple nominations too. The problem is, none of these three films are actually that great. Sure, Iñárritu’s talent is there for all to see, his films can often be beautiful to look at and he’s good at getting the best out of his actors, but they are always mired in self-indulgence and a sense of pretension that is hard to overcome in order to truly connect with a film, like in the case of ‘Birdman’, or just slowly becomes insufferable like in ‘Babel’. ‘The Revenant’, though, is different. From the very beginning we’re thrust in to a bustling, hectic environment, shot by cinematographer Emmanuel Lubezki in such a way as to make us feel trapped in the action, even though the backdrop is as expansive as it could possibly be, the snowy plains of the Louisiana Purchase enveloping the vast majority of the screen. Leonardo DiCaprio’s ability to carry a film is tested once again here, as we are often left alone with him against the huge landscape, but in true DiCaprio style he has no trouble doing so, and this in a film where most of what he’s doing is grunting in pain and levering himself off the floor. 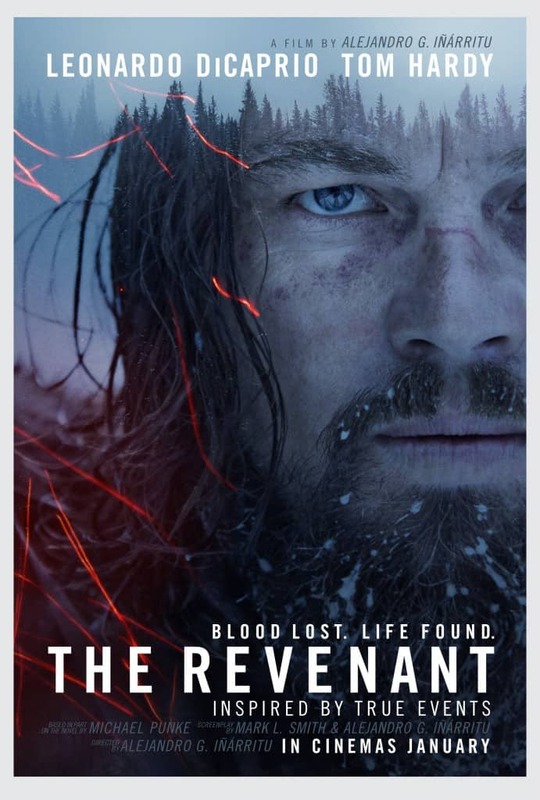 For large stretches, it’s the skill of the camerawork together with DiCaprio’s engaging performance as main character Hugh Glass that makes sure it retains its intensity levels, Lubezki making sure he captures the harshness of the land, which goes together well with the brutal nature of the story, written by Iñárritu and Mark L Smith. Excellent supporting performances come from the likes of Tom Hardy, who carries his usual gravitas in his role as John Fitzgerald and pulls off a pretty good if sometimes indecipherable Southern drawl, and Domhnall Gleeson, whose career continues to take off with roles in almost everything these days. Will Poulter also deserves a mention, giving an understated but emotionally powerful performance that shows off the acting skill he has had since childhood and the ‘Son of Rambow’ days. Especially suited to the big screen where the excellent camerawork and stunning scenery can truly come to the fore, ‘The Revenant’ is an assault on the senses that grips from the start and refuses to let go. Iñárritu manages to keep the movie together well, a tough task when you have to mesh together large sections where Glass is on his own with scenes where he is interacting with multiple characters, something that could have been jarring but ends up adding to the suspense, making the tale all the more involving. It’s not completely flawless, Iñárritu feels the need to add in dream sequences from time to time when we’re left alone with Glass in the wildnerness, and these short scenes don’t add much to the film or prove to be that interesting, but that is one small misstep is what is generally a successful film. If you’re looking for light cinemagoing fare, this film is most certainly not the one you should go for. Brutal and unassuming, what Iñárritu has created here is a visceral experience that we haven’t got from him for too long now. A welcome return for a talented director.